Fairly recently UBER has been in the news a lot after unveiling their hugely ambitious plans at Elevate, their air transportation show. This captured our attention, what they have been talking about would involve huge advancements in not just technology but the way we legislate even our airspace. So, we enabled some news alerts on our phones, and we think it’s about time we talked about what the future might hold if UBER get their way. First off, the aircraft involved in their schemes is eVTOL, Electric Vertical Take-off and Landing vehicles. Electric technologies are progressing at a increasingly rapid rate and the incorporation of new advancements into the aerospace and aviation industry has hugely opened up the potential for VTOL vehicles. Traditionally VTOL meant helicopter, or some variation thereof, now though there are many more design possibilities due to new power sources, i.e. batteries. Running rotors from a battery means you can disperse energy throughout and around the aircraft in more or less any manner you like. That means if you have a powerful battery supplying your motors you can have more of them, and you can have computer systems controlling the flow; you can start to be very clever indeed with how you generate propulsion. On top of this is the noise. Electric engines are much quieter than traditional piston engines meaning you could potentially use them in urban areas, this paired with zero operational emissions makes the idea of an urban VTOL transportation system sound almost plausible. However, these possibilities open up a vast array of potential problems. It’s not just a case of upscaling a drone so that it can carry people. UBER expect that daily long-distance commuters in heavily congested urban areas will be the first to adopt VTOLs for their journeys to work. Mainly because the amount of time and money you save increases with the length of the trip. A short hop that could be done in 20 minutes or less in a car probably isn’t going to save you much time. But a long commute that might take an hour and a half in a car? Well, they suggest you could do that in as little as 15 minutes for the same price or even less than a taxi. In the long run they believe, and attest to this strongly, that it will come to be an affordable form of daily transportation for the masses. If someone suggested hiring a VTOL (eg. helicopter) now for your trip into work, you would likely laugh in their face. It’s too expensive and impractical. Ultimately though, UBER plan to drive demand for production up, forcibly increasing efficiency of manufacturing making these vehicles cheaper, plus by using fully electric aircraft and a ride-sharing system they aim to create a quiet, fast, clean, efficient, and safe transportation system that is affordable for all. UBER though are not in the game of creating vehicles. They are savvy enough to leave that up to the experts. What they want to do is develop a brand new mode of transportation. Something akin to the flying taxis depicted in a lot of popular sci-fi. So, what they’re doing is teaming up with a few of the biggest names in aircraft manufacturing and they’ve laid down the gauntlet for these companies to create fully electric aircraft viable to work within the confines of the system they are designing. Karem Aircraft, is privately-held aerospace company based in Lake Forest, California. Abe Karem, who founded the company, has a long history of designing flying concepts, such as the Predator drone and A160 Hummingbird, and for starting companies that get snapped up by aerospace giants. His last two companies were acquired by General Atomics and Boeing. Karem’s newest invention, and the one Uber will collaborate with the company on, is called Butterfly. It’s a quad tiltrotor with four large rotors mounted on the wings and tail. The Butterfly configuration is designed to solve the tradeoff between hover and cruise efficiency. It’s also designed to be quiet, a key challenge for Uber. Aurora is a Boeing subsidiary. The company that specializes in autonomous flying systems was acquired by Boeing in 2017. Aurora, which operates out of the Manassas Airport in Virginia, was founded way back in 1989 after the MIT Daedalus Project, a human-powered aircraft out of MIT’s Aeronautics and Astronautics Department. It has produced more than a dozen aircraft, including a line of small vertical take-off unmanned aircraft known as GoldenEye. Pipistrel is as Slovenian company, and the very first manufacturer to create an FAA approved fully electric aircraft, the Alpha Electro. The company revealed a new concept model during the last Elevate Summit that uses dedicated propulsion systems for both cruising and vertical lift. Pipistrel produces 13 different models of two-seat aircrafts, including the Alpha Electro and the Taurus Electro, which feature all-electric propulsion. Embraer has been around for five decades and in that time has designed, developed and certified close to 50 aircraft models. The company’s Embraer X unit is focused on disruptive technology such as VTOLs. It recently unveiled its first eVTOL aircraft concept and will be collaborating further with UBER. What was Bell Helicopter, is now known as Bell as the company rebrands itself in preparation for an era of flying cars. 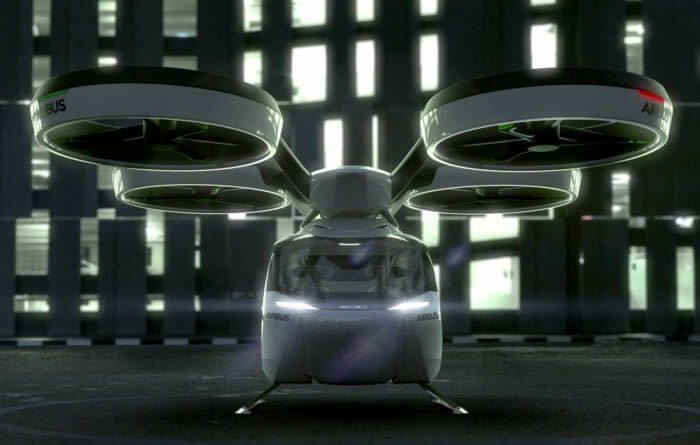 The company is firmly in the business of making commercial and military helicopters, however is expanding its scope to include the development of eVTOL in line with UBERs demands. This all sounds very proactive, futuristic, and dare we say it, cool. However, we aren’t there yet, there is a long list of hurdles to overcome. Before VTOLs can operate in any country, they will need to comply with regulations from aviation authorities—namely the US Federal Aviation Administration (FAA) and European Aviation Safety Agency (EASA) who in total regulate 80% of the world’s aviation activity. VTOL aircraft are new from a certification standpoint and historically speaking certifying any new aircraft concept has been distressingly slow. Go anywhere on the internet and you’ll find facts and figures that tell you that flying is statistically safer than driving a car. In fact you are more likely to be killed from a lightning strike than from a plane. Regulations though aren’t going to help make flying any less safe. Which means UBER has to prove that not only are all the vehicles they’re going to use more or less infallible, but that the systems they derive to do everything, from loading and unloading passengers, to sufficiently training pilots, and even things like dealing with fire hazards, are also as close to perfect as they can be. Which leads us neatly on to the next point. In some areas urban airspace is in fact already open for business and a VTOL service could theoretically be launched and scaled up to several hundred vehicles. However, for UBERs ambitious plans to work there will need to be plans made for significantly higher frequencies and density of aircraft in metropolitan areas than the current systems are able to deal with. In order to handle this exponential increase, new Air Traffic Control systems will need to be developed. The next thing that needs to be planned for is making the transport system actually profitable. Which means it has to be practical, and people need to use it, a lot. It needs to be affordable for everyone, the vehicles energy efficient and quiet, the service, comfortable, and most importantly it has to be faster than any other city transport system. Electric propulsion has many desirable characteristics that make it the obvious choice when thinking about creating a VTOL transportation system. However, the current level of battery technology simply isn’t adequate. The energy per unit weight provided by batteries today is insufficient for anything beyond short range flights. On top of this, the charge rate is too slow which limits the possibility of a high-frequency ride-sharing operation. Possibly the largest operational problem faced is how one would deploy a large fleet of VTOL vehicles. Currently cities just don’t have enough take-off and landing sites. If VTOLs are going to achieve the potential seen by UBER, infrastructure will need to be added. This is all pretty huge and pretty exciting. If for no other reason than it’s one of the driving forces behind the electrification of the aviation industry, which could indirectly lead to our ability to efficiently utilise clean renewable energy sources in the foreseeable future. However, there are some big advances that need to be made, both regulatory and technological, so it looks like we won’t begin to see the fruits of this labour for at least five years, and possibly longer.